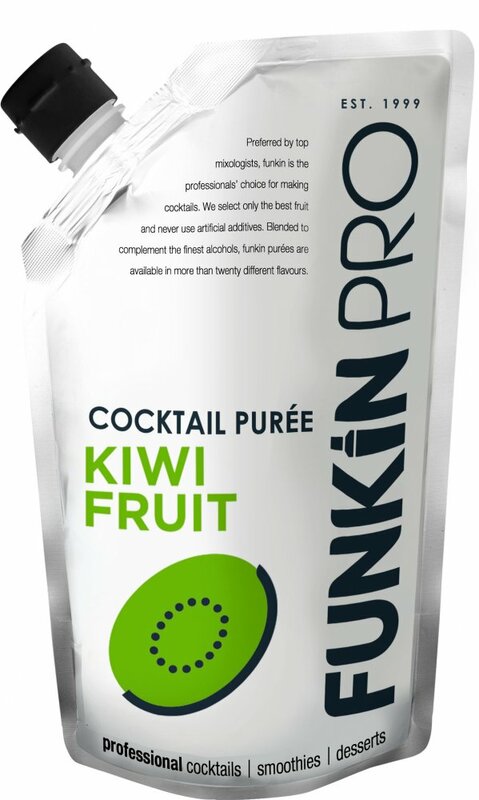 Funkin Kiwi is a great fresh green kiwi puree which does have some seeds in it adding a fantastic colour and texture, with a balanced sweetness with the hint of acid. It has become a really popular flavour over the last year and a firm favourite with us too. Details: Kiwis from France and China, Varieties Hayward. Funkin's Kiwi premium puree, used by the UK's top A-list style bars and chefs, and consisting of the finest globally sourced fruits.